Sometimes a fence is functional, sometimes it’s decorative and sometimes it’s both. 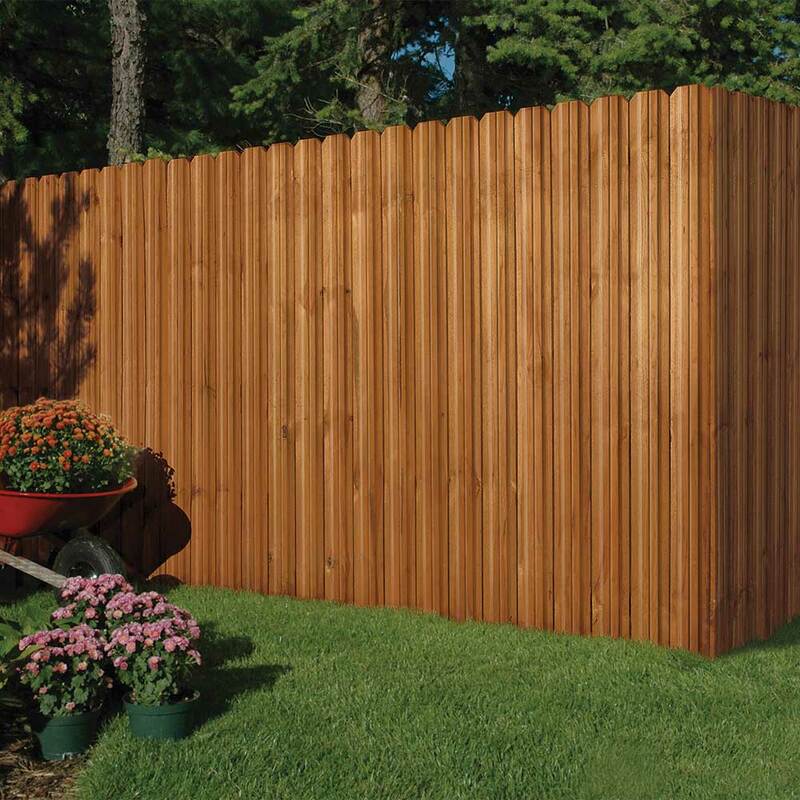 When it comes to a fence in your front yard or garden, you probably want both. A front yard fence is crucial to curb appeal, but also serves to keep both children and pets in your yard. A garden fence protects plants and flowers from animals, but should also add beauty to the environment. 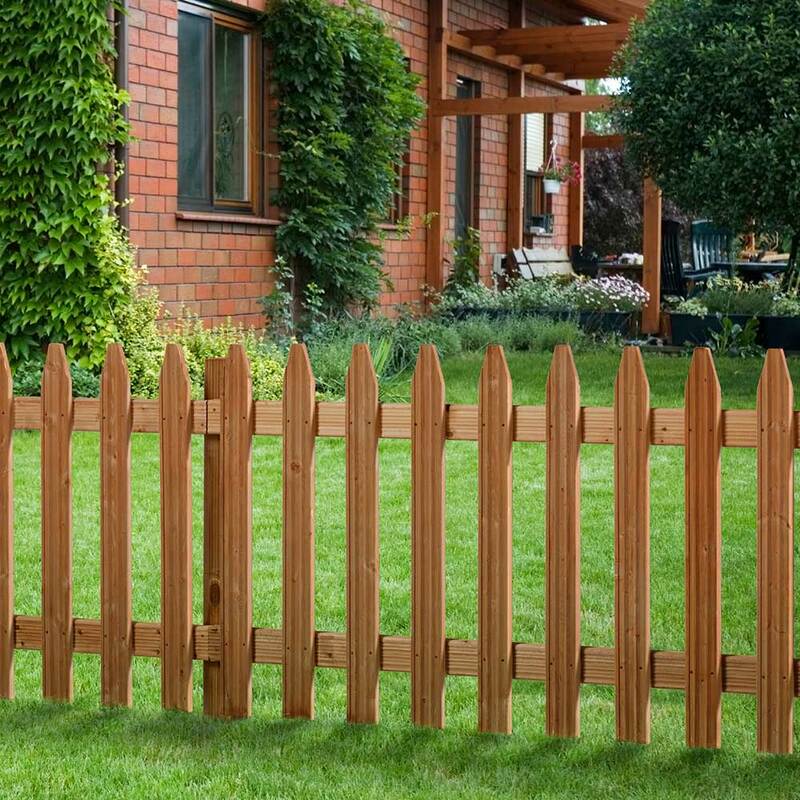 Outdoor Essentials® spaced picket fence is both functional and decorative, making it the perfect fence style for spaces such as front yards and gardens. Its timeless look adds charm to any home or outdoor space. Use it to define boundaries in your front yard, or to accent and protect your garden. We offer multiple styles in a variety of species. While hog wire fence isn’t exactly “spaced picket,” it is a combination of function and modern style, so it deserves its spot on this page. Its frame is made with pressure-treated lumber. Its panel is a rust-resistant steel grid. 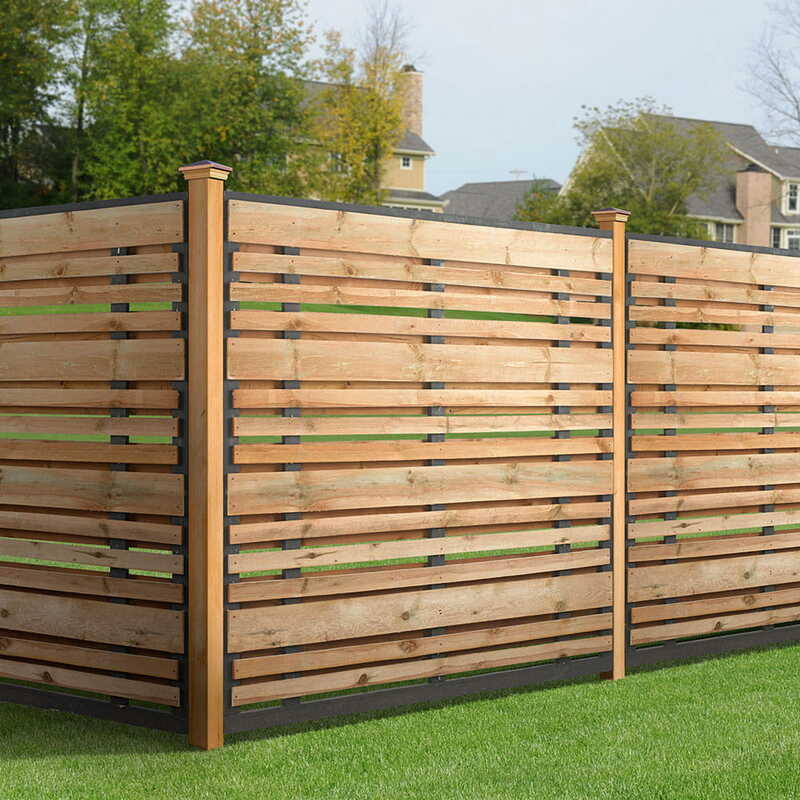 Use this mixed material fence to protect your garden from animals or to give your front yard an industrial flair. We offer the Loveland style, made with color-infused Redwood tone lumber. Want more information? We’re here to help. Contact us here, and we’ll get right back to you! Note: The Loveland hog wire fence panel is currently only available in TX and CO.